David J Phillips: Does This BMI Chart Make Me Look Fat? Does This BMI Chart Make Me Look Fat? I was checking out the BMI tables on the National Institute of Health website recently (nerd alert). For a lot of years, I thought the whole BMI thing was bunk, mainly because it kept telling me I was overweight. 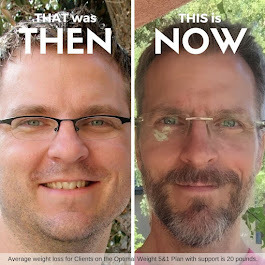 These days when I talk to folks about the connection between health and weight, I often encounter a familiar resistance. "It doesn't apply to me because I have a muscular build" or "I have big bones" or "I'm husky" or "those charts are crap." Now that I have a 'normal' BMI (per the NIH), I've come to realize that the BMI tables are not crap. But first let's look at how the NIH defines "overweight," and "obese." The NIH website says "Overweight is having extra body weight from muscle, bone, fat, or water. Obesity is having a high amount of extra body fat." Interesting, but what does this mean? It means that the NIH has already accounted for muscular builds and big bones. Certainly there are exceptions: the BMI chart doesn't apply to Arnold Schwarzenegger or Dwayne 'The Rock' Johnson. Indeed, the NIH states that the BMI chart "... may overestimate body fat in athletes and others who have a muscular build." Conversely, "It may underestimate body fat in older persons and others who have lost muscle." But I'm not Arnold, and chances are, if you're using performance enhancing substances to shed & shred, you're probably not reading this blog anyway. But how athletic can someone be before he trips into the obese column? To find out, I toodled on over to the CrossFit Games website, and had a look at the leaderboard. Have you seen these people? Lean. Cut. Probably the fittest humans on the planet. How do they stack up on the BMI chart? Of the top ten men on the leaderboard, most had a BMI in the 25-30 range; only one had a BMI over 30. Women trended even lower. So what does that mean for you and me? It means that if you have a BMI of 30 or more, you're carrying too much fat, period. And if you have a BMI of 25 - 29.9, you're probably still carrying too much fat. Unless of course you're competing in the CrossFit Games. Then you're probably okay. Big deal, you think. What difference does a little extra fat really make anyway? I'm healthy, right? For now, maybe you're right. But what about later on? What quality of life to you want to have later in life? How do you want to live in ten years? In twenty? In fifty? The NIH answers the question Why Is A Healthy Weight Important? "Reaching and maintaining a healthy weight is important for overall health and can help you prevent and control many diseases and conditions. If you are overweight or obese, you are at higher rise of developing serious health problems, including heart disease, high blood pressure, type 2 diabetes, gallstones, breathing problems, and certain cancers. That is why maintaining a healthy weight is so important: It helps you lower your risk for developing these problems, helps you feel good about yourself, and gives you more energy to enjoy life." Why should you pay attention to the BMI tables? Your future depends on it. Your doctor and your insurance underwriter use it when they assess you. You should too. Use the BMI calculator. Find out where you are. Figure out where you want to be. Now do something about it. You are the dominant force in your own life when it comes to creating health. No one is going to do it for you. "My doctor will save me" you think. But your doctor can't do any more than manage symptoms as they appear. There is no magic bullet. The little daily choices you make today will do more for your health, now and in the future, than anything your doctor can prescribe. Ever. Not sure where to turn? Join me! My wife and I are FREE Certified Health Coaches with Take Shape For Life. We can help you quickly and safely attain a healthy weight, and learn the habits necessary to maintain it for the rest of your life. Contact us and let's create health in your life too! Health Coach. Writer. Mountain Biker. When was the last time you had it?